/ Disney World Tunnels – Do They Really Exist? Does Disney World really have secret tunnels? The story about there being underground tunnels at Disney World is actually true. 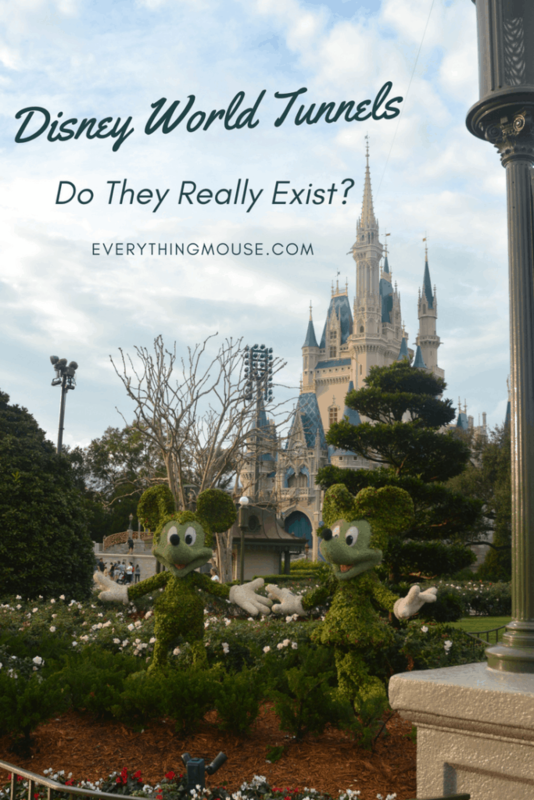 We know there are many untruths quote about Disney World, but this one is no myth. There really is an underground tunnel system under Disney’s Magic Kingdom. This huge system of tunnels under Magic Kingdom are known as the Disney World Utilidors. They are even bigger than most people imagine. At 392,040 square feet they cover a huge area of the Magic Kingdom. The utilidors cover almost all of the park. The only part which does not have tunnels underneath is part of New Fantasyland. The reason for this is that the previous area, Mickey’s Toontown, was added in 1988 so was not part of the original Magic Kingdom build. 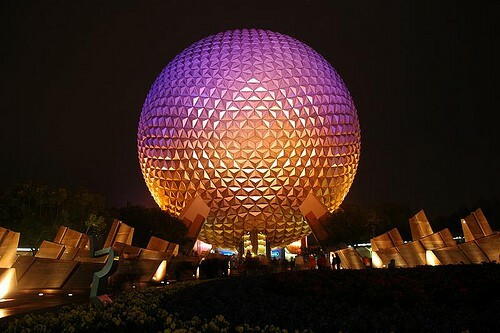 Walt Disney had the idea for the Utilidors for his vision of EPCOT. As many Disney fans know, Walt’s original idea for EPCOT was that it was to be an experimental community where people would live and work. He envisioned a place with underground tunnels to help alleviate the problems of traffic and pollution for the people who would live in this new community. The vision for EPCOT were fundamentally changed after Walt Disney died in 1966. However, the Utilidor idea was adopted for Magic Kingdom. It was originally intended that EPCOT would have an extensive system of tunnels. There is an Epcot Tunnel but it is only 700 feet long. Actually it’s a U Shape. The Epcot Tunnel starts in Innoventions East at the north side. Then it goes underneath Spaceship Earth before ending at Innoventions West. The Epcot Tunnel is only used for deliveries to the shops and restaurant in Future World. Walt Disney didn’t only want the tunnels for efficiency. He wanted them to help create the magic in the park. There is a famous story that Walt Disney was not impressed when he saw a cowboy who should have been in Frontierland walking through Tommorowland in Disneyland. Walt Disney always wanted to create as real an experience for his guests as he could. The Disney World Tunnels were the perfect solution. What if Cast Members and service vehicles could actually travel underneath the new park? There the idea of the Disney World Tunnels was born. You may be surprised to learn though that the Disney World tunnels in Magic Kingdom are actually at ground level. How can this be? Because of the water line on the land it simply wasn’t possible to dig down far at all. 8 million tonnes of Earth were moved to build the Magic Kingdom – and the practical solution was to build Main Street and The Magic Kingdom on the second and third floors about 15 feet above ground level. You won’t know it but when you walk along Main Street you are walking on the higher floors with the Disney World tunnels beneath you. It is difficult to imagine that when you walk through the gates in Magic Kingdom you are actually on the first floor. By the time you reach Cinderella’s Castle you are on the third floor. The Utilidors cover 9 acres of space beneath Disney’s Magic Kingdom. The design is that of a central hub at Cinderella’s Castle with ‘spokes’ going to the other lands. The underground Disney tunnels are the center of activity for the Cast Members and the operations of the park. There are color coded signs to help Cast Members find their way around. They travel around in electrical powered vehicles which look something like golf carts. The Disney World Magic Kingdom Cast Members can travel around Magic Kingdom without being seen. So there will not be a repeat of Walt’s experience. You will never see a cowboy unless you are in Frontierland! The utilidors also serve many other functions. Have you heard about the garbage disposal system? The AVAC System is Magic Kingdoms innovative garbage disposal system. Ever wondered why you don’t see Cast Members emptying the garbage cans around the Magic Kingdom? AVAC is the answer. It uses compressed air to speed garbage at 60 miles per hour to a centralized processing system for recycling and disposal. The Digital Animation Control System or DACS as it is known is also housed in the tunnels. This is the nerve center for all of the controls for Disney’s Magic Kingdom. Everything from the animatronics controls to the personal address system is housed in the Disney Tunnels. The utilidors also serve many other purposes. Cast Members can cash a check or even get a haircut at Kingdom Kutters. Cast Members locker rooms, break rooms and cafeteria are also underground. Some food preparation areas for the Disney World kitchens are also housed in the Utilidors. So next time you walk along Main Street in Magic Kingdom just imagine all the activity going on right beneath your feet. Or if you want to actually see the tunnels then take the Keys of The Kingdom Tour. This is a fascinating look behind the scenes and includes a look inside the Utilidors. 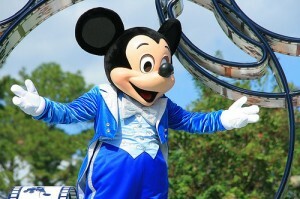 This 5 hour walking tour of the Magic Kingdom is open to those aged 16 and over only. 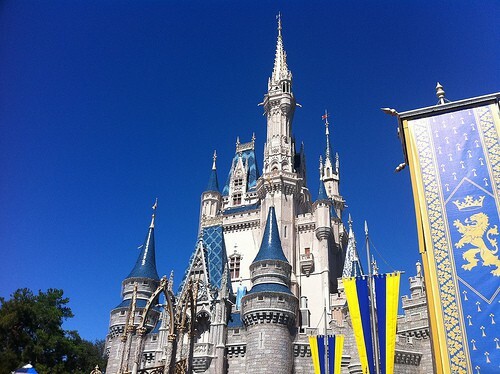 Make sure to book ahead by calling 407 WDW TOUR. The Keys to the Kingdom tour costs $99 each. Disney Grand Floridian Resort – Which Rooms Are The Best?